"I think the election should be held in accordance with the constitution." 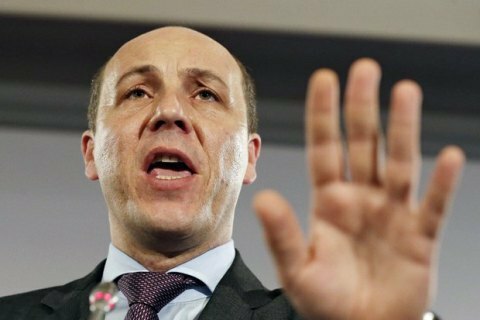 Ukrainian parliament speaker Andriy Parubiy has said he sees no reason to change the date of the presidential election due in 2019, an LB.ua correspondent has reported. He was commenting on rumours that the Constitutional Court is preparing a motion to this effect. "I have no such information from official sources. I think the election should be held in accordance with the constitution," he said. He recalled that under the constitution, presidential elections are held on the last Sunday in March of the fifth year of the president's tenure. "That is how I see the legal reasons for holding a presidential election," he said. On 21 August, opposition Fatherland MP Ivan Krulko claimed the authorities were considering shifting the presidential election from 31 March 2019 to June 2019. People's Front MP Leonid Yemets confirmed the rumour on 23 August. Last time Ukraine elected the president in late May 2014, not in March, because its ex-head of state Viktor Yanukovych fled the country.